A minecraft server for you and your mates. 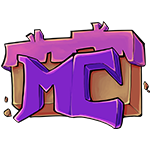 The MateCraft server was created the 20th of April of 2013. The initial goal was to create a true-to-vanilla minecraft server that people could create a community around. Nowadays MateCraft features a few more game modes, but Survival still remains as our #1 priority. The experiences and memories I've created around MateCraft will accompany me and others involved in its community long after Minecraft will have lost all of its relevance. A big thank you to those who chose to support the network throughout all these years.